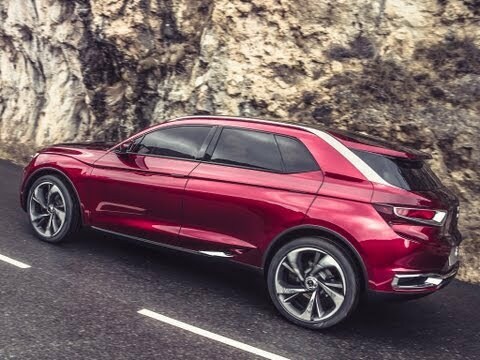 First shown to the world in 2013 at the Shanghai Motor Show the Wild Rubis gives an indication of what a DS luxury SUV would look like. Citroen DS described the car as being "as wild and rebellious as it is refined and sophisticated and it is clear to see form the photographs it would be a real head-turner. The name Rubis which is French for ruby is clearly echoed in this concept car, with the paintwork being a beautiful red which changes hue according to the light. The styling of the Wild Rubis is similar to that of the Numero 9 concept car, with similar headlights, rear lights and front grille. DS have indicated that the Wild Rubis is fully- hybrid featuring plug in technology. There are no pictures of the interior released as of yet but the dimensions and the five door layout indicate there should be plenty of room in the cabin with boot space to match.